There’s a great deal of discussion lately about the decision to publish two Michael Crichton novels (one unfinished) posthumously. Some people are skeptical or uneasy that a techno thriller that Crichton had only written a third of will be finished by another author selected by Crichton’s publisher and family. It’s a topic I find intriguing and I’ll research and ponder it for a future essay on this blog. First of all, I think fears that Crichton’s estate will authorize other writers to create completely new novels to be published under his name are unfounded. I will explain more in detail, but in short Crichton was not merely a storyteller—he was a philosopher who explored ideas and issues through novels. Another writer would not be able to recreate the intellect and passion that were the soul of Crichton’s works. I also do not think the fans would go for it. • If Michael Crichton didn’t want someone else to complete the novel, (or publish other books that may be found on his computer), he could have legally restricted anyone from doing that in his will. And there may be other legal steps he could have taken. He was too brilliant a man not to consider what might happen when he died. • Michael Crichton signed a deal with Harper Collins to write two techno thrillers. Next was the first one. As the contract specifies the type of novel as “techno thriller”, the pirate novel does not fulfill the contract. As Crichton probably received an advance for both books when he signed the deal, his estate may be required to either let someone else finish the novel, or return part of the advance to Harper Collins. Unless there was a clause in the contract voiding the estate’s obligation in the event of the author’s death. • Michael Crichton used his novels to comment on things that people need think about. Even if he was not able to finish his novel, he had probably done a great deal of research. 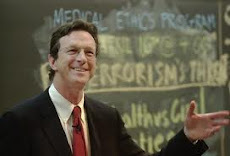 If Michael Crichton had something to say, I want to hear it, even if someone else has to help convey the message. A very important thing to remember is that Harper Collins cannot decide to publish anything of Michael Crichton's without the permission Crichton's family. So to criticize Harper Collins is unfair and an inaccurate perception of the situation. If Crichton's family authorizes the completion and publication of the unfinished novel mad other works, who am I to criticize them? His family knew him much better than his readers did, and Crichton left his legacy in their charge. I strongly feel it is not my place to second-guess his family's motivations and actions.